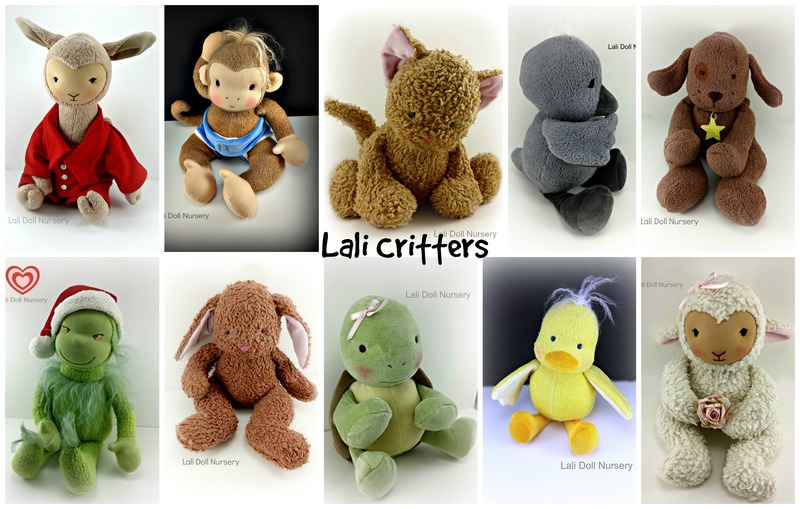 All of our dolls are handmade using the best quality all natural materials and are stuffed with 100% wool filling, making them so huggably soft and warm. 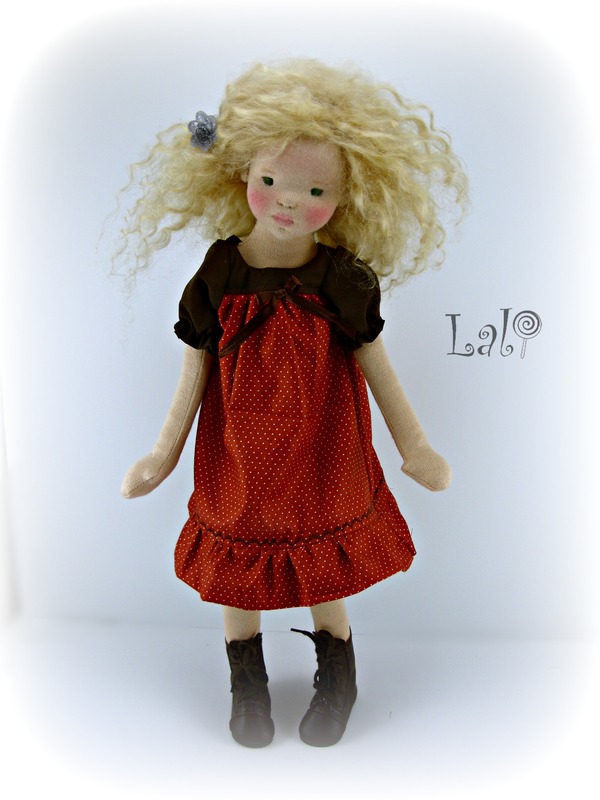 Each doll is a OOAK creation, individually made, so each doll is unique. 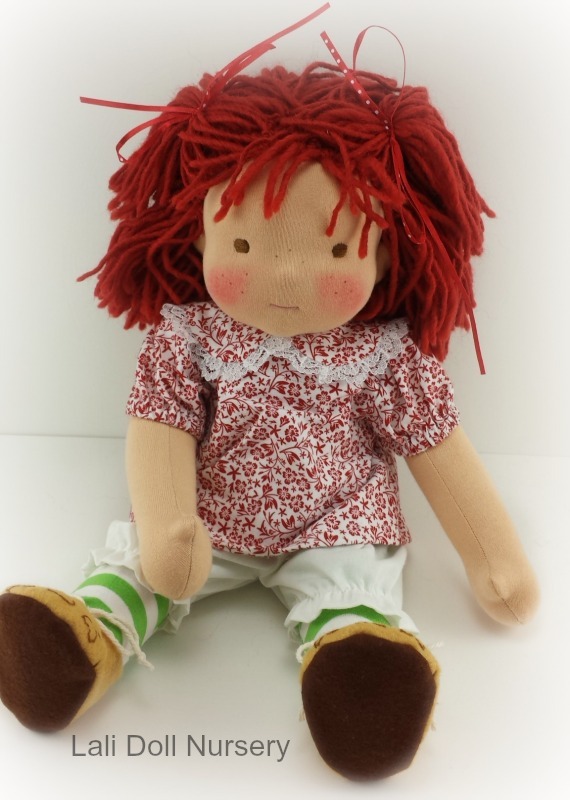 The heads of our dolls are constructed in a process like Waldorf dolls which involves tightly rolling wool into a ball and then shaping it with strings. Using this method, makes the head very firm and durable. Much attention to detail is put into each doll. The sweet faces make a life-like companion and inspire so much imagination and play for children and collectors of all ages. 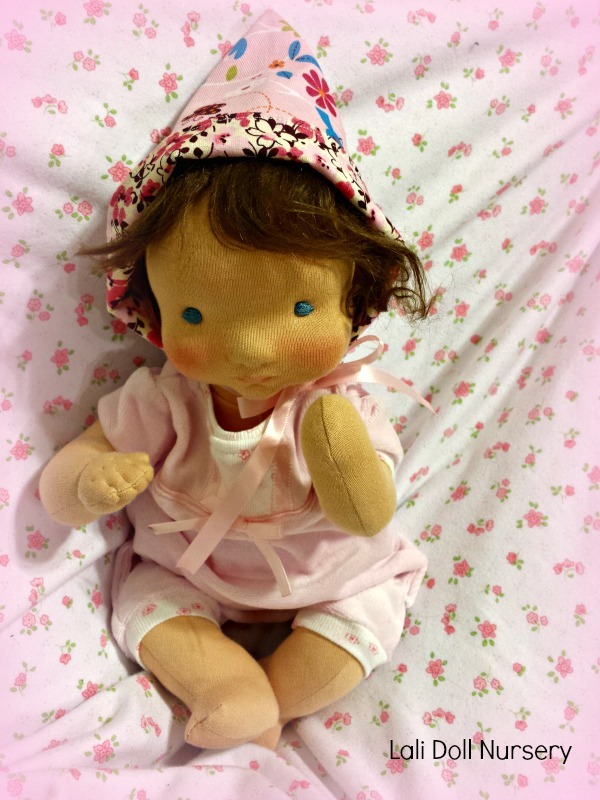 Each doll comes with their own unique outfit handmade especially for them and a signed birth certificate with their name and birthday.